Malignant tumor and its recruitment of new blood vessels. 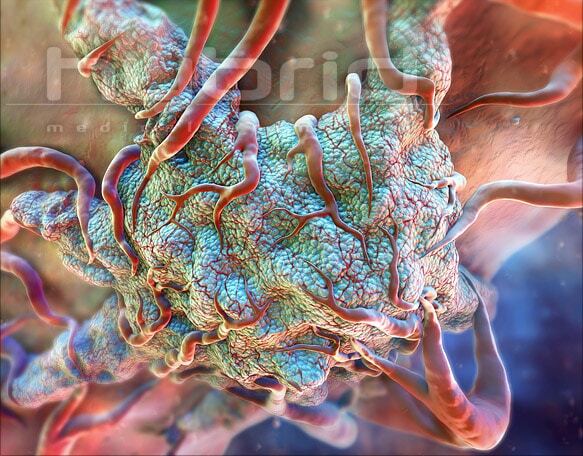 Illustration of a malignant tumor and its recruitment of new blood vessels. These invasive new blood vessels will nourish the tumor, allowing it to mutate, grow in size, invade surrounding tissues and eventually spread via the body’s circulatory system. One of the great benefits of 3D is that you can revisit a scene from a previous project and create a totally new environment by implementing aspects such as different lighting, surface textures and vantage points. We’ve built an incredible archive of 3D environments over the years. This allows for us to be more efficient, and in many cases, turn projects around faster. Click on the link below to see an example.